High-fly ash content concrete usually contains 30% or higher (by weight) fly ash and Graniterock creates mixes from 30% to 50% fly ash. Fly ash is a by-product of burning powdered coal in an electric generating power plant. It is finer than Portland cement and consists mostly of small spheres. It is considered a post-industrial consumer waste product. Graniterock uses fly ash to improve the placement of concrete because of the fineness of the material, spherical shape, and improvements in quality. Additionally, Graniterock uses fly ash as a replacement for water to improve workability and pumpability of concrete. Fly ash also lowers the heat of hydration due to its slower rate of hydration. A lower heat of hydration is also important in mass concrete structures, such as large foundations, bridges, and piers. Finally, mixes with high fly ash concrete show less bleeding and shrinkage than straight cement mixes. 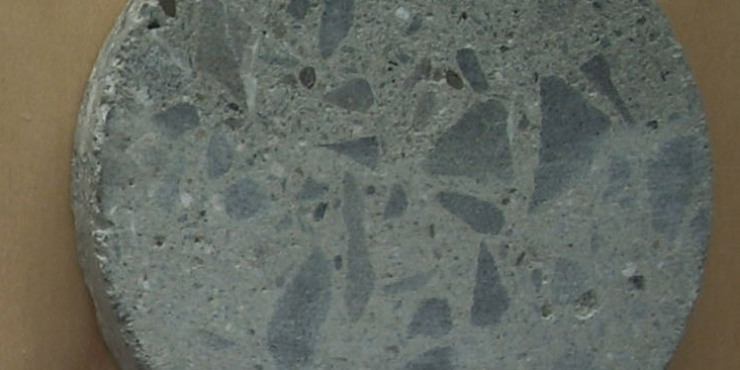 Since High-Fly Ash Content Concrete contains a large amount of by-products, it is considered to be a “green” product and can qualify for LEED credits.